Shop for the brand new Samsung e-galaxy S9 Phone just at Rs 64,900. Get additional Rs6000 cashback by pay with HDFC cards. The pioneer in the global information technology, 'Samsung' was established in 1938. At present, it offers products in many product categories. The premium brand has spread its roots to various sectors such as petrochemical, finance, hotels, fashion, advanced technology, medicine, plant construction, semiconductors, skyscraper, biopharmaceuticals etc. You can explore a comprehensive range of electronic products at Samsung store. Now, you can easily upgrade your lifestyle with the trendiest offerings of Samsung. Home appliances including Microwave, Vacuum Cleaners, Washing Machine, Refrigerator and Air Conditioners are sold by Samsung at best possible prices. Samsung Smartphones are the very first choice for everyone whenever it comes to buying a mobile phone. Moreover, the features of Samsung Smartphones are amazing and are available at affordable prices. Samsung is not limited to smartphones only but a wide range of electronic products are offered by the Samsung brand. Laptops, air conditioners, Tablets, Curved Monitor, Printers & Multifunctions, washing machines, Monitor, Super Slim Monitors, LEDs, Televisions, home entertainment systems, Multi-Device Experience, digital component, Wearables, Accessories, Printer Supplies, soundbars, sound towers, Blu-ray & DVD players etc. Televisions like QLED TV, UHD TV, HD TV and Full HD TV etc. are available at Samsung. These many offerings and best services have made Samsung the king of the electronics. You can go for Samsung products anytime without giving it a second thought. Samsung smartphones such as Galaxy Note, Galaxy S, Galaxy J, Galaxy S7, Galaxy On8 etc. has every feature of which you can wish in a smartphone. There are innumerable e-commerce websites like Flipkart, Snapdeal, Amazon, eBay etc. from which you can buy Samsung mobiles. It is very easy to save on Samsung products. All you need to do is shopping online. These e-portals allow you to buy the Samsung products at much cheaper prices. Visiting all these stores to find best Samsung offers is a really hectic process. Dealsshutter is here to end all your worries. You can easily find Samsung offers from these stores at Dealsshutter. You can check them all by visiting Dealsshutter. Digital wallets are very common nowadays, and jaw-dropping discounts can be availed by making payments through these wallets. One of the most common wallets is Paytm which offers fantastic deals on Samsung products. 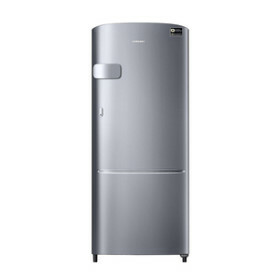 Online shopping allows you to buy Samsung appliances at lowered prices. Flipkart has become one of the best e-stores for its amazing offerings. You can also shop for Samsung mobiles at Flipkart as attractive cash discounts are available for you. All the models of Samsung Galaxy phones and other such models at best prices are available at Flipkart. Last but not the least; Snapdeal has exciting offers on Samsung mobile phones and attractive discounts as well. So, Visit Dealsshutter and make a choice among these stores while placing orders. Not everyone knows the art of saving. That is the reason Dealsshutter is here to help you. Wise buyers never miss a chance to save a single rupee. World's top brands like Samsung offer exciting offer to let its esteemed customers make big savings. Dealsshutter is the website which caters these amazing coupons to make the Samsung offers accessible to you. All Brands provides discounts offers so that their products are reasonable and easy on your pockets. Most of the Samsung coupons are on smartphones so that you can buy newest mobile phone launched in the market with much ease. We at Dealsshutter always keep the page updated with the latest deals. You can shop for your favourite Samsung products at Amazon, Snapdeal,eBay, ShopClues, Croma, Tata Cliq, Flipkart etc. Also, the bank offers and wallet offers available at Dealsshutter can let you save a huge amount of money.